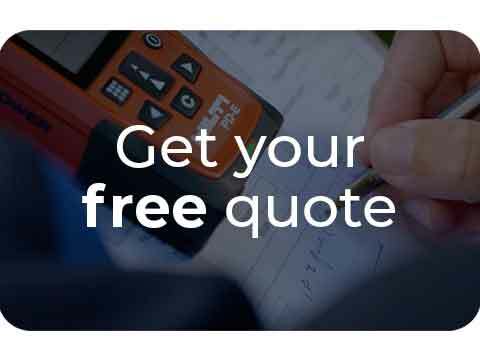 Midland Fencing Solutions Limited is a fencing supplier in Wolverhampton specialising in ColourFence, the UK’s strongest maintenance-free steel fence system. Andy Limer has been running his franchise for 10 years, and still maintains the same level of excellent customer service since the day he started. He thoroughly enjoys his job and getting the chance to meet people and discuss the ways in which ColourFence will benefit them. He has a full portfolio of installed fences, and with his decade of experience he is fully knowledgeable when it comes to fitting fences to awkwardly shaped gardens – whether it’s sloped, angled, has a brick wall, give Andy a call to start your ColourFence journey. 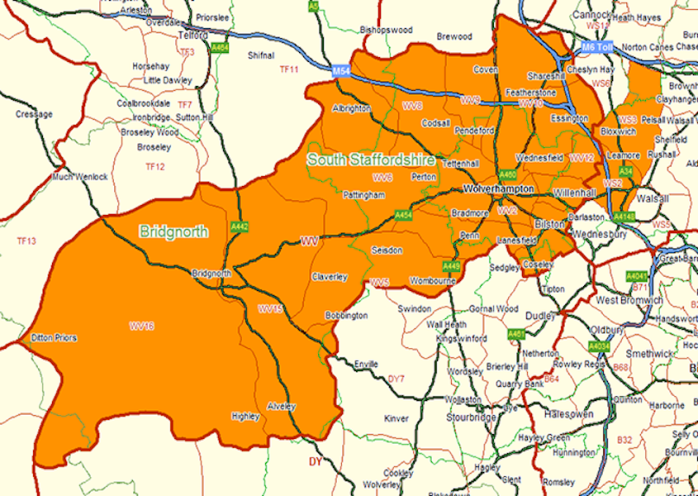 If you would like to find out more about ColourFence Wolverhampton’s fence installations, fence panels and pricing then get click the link below to get in touch with Andy who serves the following locations; Wolverhampton, Bridgenorth, Albrighton, Cleobury, Wombourne and other local areas. "Andy brings so much happiness to all of his customers. Great product fantastic service & all round great man. Such a hard worker who really grafts to make sure you get a beautiful quality fence every time. Talented man & team who cares for the customers he serves. Would recommend." "Highly recommend! - great product and very professional and friendly workmanship from Andy and Cam. We had 12 panels fitted some of which followed a slope and were stepped and raked in accordance and double gates fitted all in brown with cream trellis which all looks superb and very sturdy. We had gale force winds for a few days after installation with conifers and trees bending over but the fencing and gates were not affected in any way and stood firm. Well worth the wait ( lead time ) and the cost in my opinion and will hopefully stand the test of time with the 25-year materials guarantee. Thanks Andy for a great job done." "After years of problems with wood fence panels rotting and disintegrating when the weather is windy, I decided to try the ColourFence option. I am very happy with the results, it looks much better than the previous fence and is hopefully much more stable. I was also very happy with the workmanship and friendly polite service provided and will probably have more fencing done by the same team." "I am pleased to say that I am very satisfied with the product and service. I had a full fencing area done with the brown and cream trellis; the entire area of the fence looks beautiful on completion. Andy and his son worked as a team. they were professional and courteous to deal with during the installation process. The initial meeting with Andy was to discuss my needs, and reaching an amicable agreement. The installation took a few days to complete; with heavy rain, Andy and son carried on regardless! Although the installation of the fence is still in its early prime, I am very satisfied with the end result and the fence looks beautiful. Andy worked very tidily and professionally. If there were any issues Andy would bring it to my attention for my approval before pursuing. 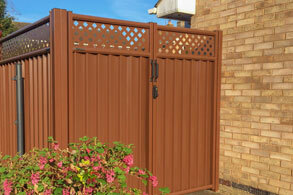 I have no hesitation in recommending Midlands Fence solutions. I am proud to say its a job well done." "Thank you Andrew, Cameron, for the great work you did with the fence, it was very much appreciated, I would recommend anyone to you." 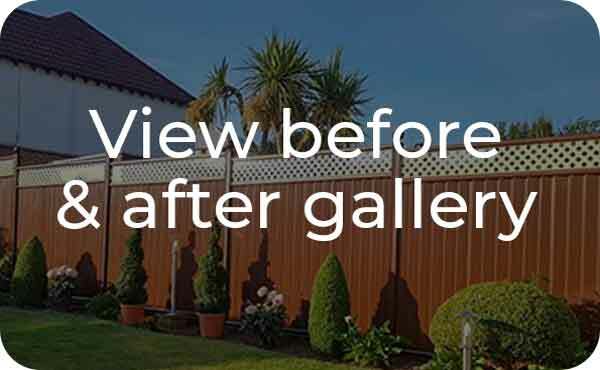 “I am delighted with the ColourFence you installed at my property and I cannot praise the quality of the product and the service you provided highly enough. During the stormy and windy weather this winter it was such a relief to know that the fence would be stable and standing no matter how ferocious the winds were." "It was a busy week for me when the fence was fitted but have now had time to have a proper look and my neighbour and I are thrilled with it!! Thank you for your hard work and I will certainly recommend you." "On the 4th-5th May 2017 we had Andy Limer from Midlands Fencing Solutions install your ColourFence. Firstly I would like to say that my wife and I are overjoyed with the fence. Neighbours and people passing by have said how great it looks. This morning a man walking his dog on the field at the side of our house was taking photos of it on his mobile. If you require anyone to endorse you fence please do not hesitate to use our names. Secondly, I would like to highly praise the workmanship and skill of Andy. He was pleasant, easy to get on with and very hard working. His attention to every detail of the installation was superb. We are both very happy with his work so much so I feel the need to contact you and let you know. 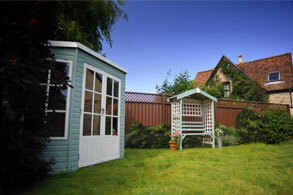 I will happily recommend Andy and your fence to anyone that makes enquiries." "Many thanks for excellent workmanship and customer services"
"Andy did an excellent job replacing our fence. Good advice at the first meeting was followed by a quotation for the work required that was clear, succinct and delivered without pressure. Our new fence was erected as and when promised, with careful attention to detail throughout, and is exactly what was needed. Highly recommended." This testimonial letter comes with a big Thank You to Colourfence on their professional work completed at my premises. The work completed was done very professionally, cleanly and very precisely with no interruptions on my daily duties. 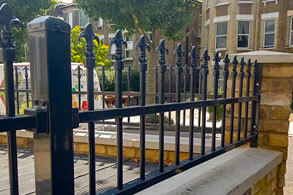 Even though neighbours did not notice ColourFence’s presence, the comments of the workmanship have been tremendous from them and my customers. I would like to wish you all the best for the future and I will definitely recommend you and ColourFence to my best customers with no hesitation.